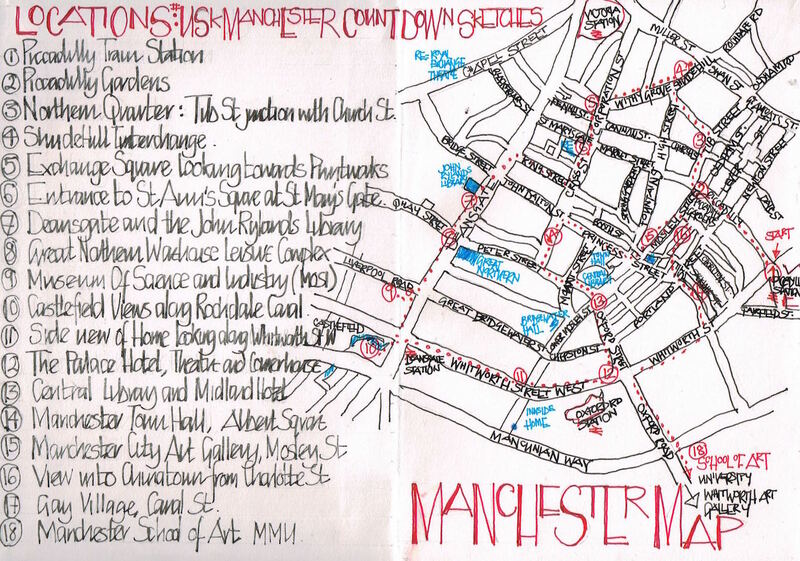 [by Liz Ackerley] as we prepare to start the Symposium in Manchester, I thought I would post this summary Map showing the location of the Countdown to the Symposium Sketches together with thumbnails of all 18 drawings. The drawings are in order left to right. (top row 1-3; second row 4-6; third row 7-9 etc). Welcome to Manchester and #USkManchester2016!